Imagine being a new Tech for Good project about to embark on your first exciting digital development journey. One day it could be you. For now though, it’s the thirteen projects that we’ve just funded. Here’s what they are going through. Once upon a time Dorothy Gale was just like the rest of us. She lived a quiet, simple life. She had no big adventures. But then a strange wind stirred and spun her and Toto off into an amazing adventure. 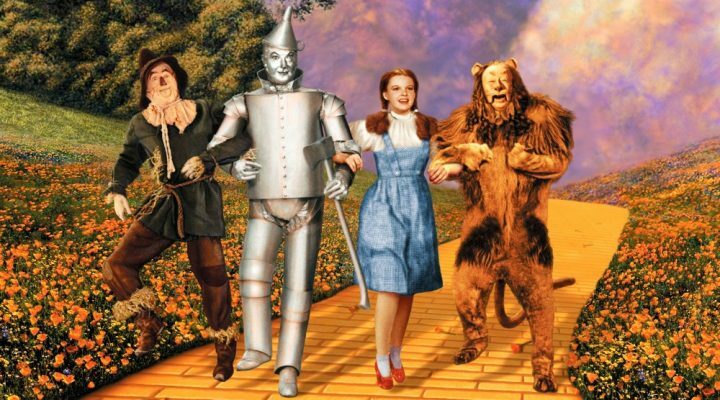 Just like Dorothy you’re about to begin a big adventure, not to Oz, but into the world of Tech for Good. When you accepted project funding you left your old world of human-powered services behind. It may come as a surprise to you and your companion/s but the old rules of project development don’t apply anymore. You’re building a digital thing and it’s going to feel quite alien and unusual for a while, with a whole new set of customs, words and principles. Digital development is a journey. You’ve no option but to embrace it and its challenges. It’ll probably involve an agile methodology. That’s good because it’ll help you stay focused on the things that matter most, so you don’t stray from the most direct route to the Emerald City. If you don’t know them already then you’re going to meet the Tech for Good equivalent of the Scarecrow, the Tin Man and the Cowardly Lion. But don’t worry, they won’t lack for brains, courage and a heart. Hopefully you’ll meet a Designer with a big heart, a Developer with a big brain, and a Product Manager with the courage to challenge your assumptions and keep you focused on user needs. These folk will need to be closely aligned with you and your project goals. Its inevitable. Because this isn’t a story, this is for real. You will arrive and launch a product of some kind. It may not look like what you expect, but hopefully by then you’ll have shed any tinted spectacles and be able to clearly see what your product needs to do and why. Just like Dorothy you’ll find that the Emerald City of Product Launch is only a stopping off point. The route to your bigger mission will become clearer and you’ll feel the full force of knowing that the real challenge is to grow and sustain your product. You’ll leave the Emerald City with new skills and insight to head West. Your silver shoes will be worn and dusty, but with luck you’ll soon manage to find new ones.